Posts on our bed and breakfast accommodation blog about Battle Hill, Willington, Wallsend and North Tyne Tunnel in North Tyneside, NE28. 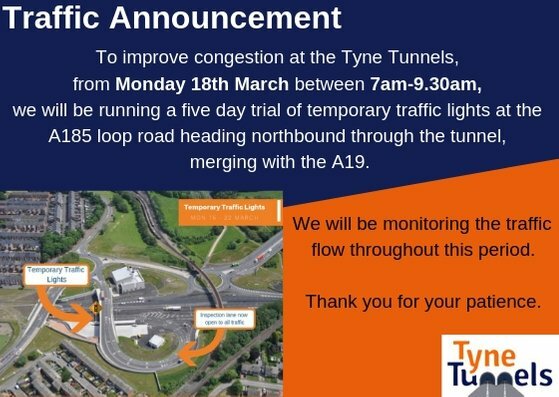 If you are staying with us between Monday 18th and Friday 22nd March and plan on driving north through the Tyne Tunnel please be aware of a five day temporary traffic light trial that is taking place on the A185 loop road that joins the northbound tunnel entrance. The traffic light trial will run from 7am until 9:30am. Please leave extra time for your journey. If you are looking for hotel accommodation near the Tyne Tunnel in Jarrow, NE32 our bed and breakfast price and availability is here: book online. 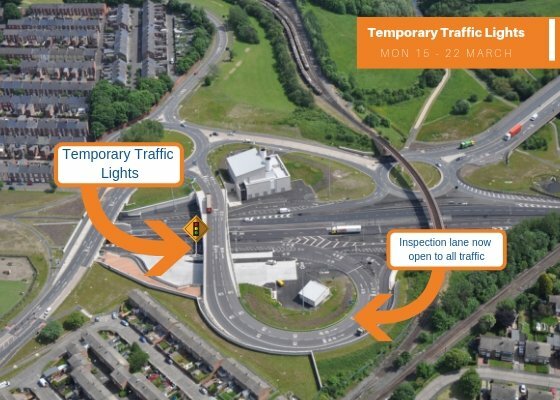 If you are staying with us after Sunday 22nd May 2016 and will be reaching us via the A19 Tyne Tunnel toll road please note that the toll charges will be increasing from this date. From Sunday 22nd May 2016 the tolls will be £1.70 for cars and £3.30 for heavy goods vehicles each way. Segedunum Roman fort, baths and museum is the most complete excavated Roman fort in Britain and is located at the Eastern end of Hadrians Wall, a 73 mile barrier from the river Tyne in the east to the Solway Firth in the west. Segedunum (meaning ‘strong fort’) was home to 600 Roman soldiers for almost 300 years and can be found on Buddle Street, Wallsend, NE28 6HR. 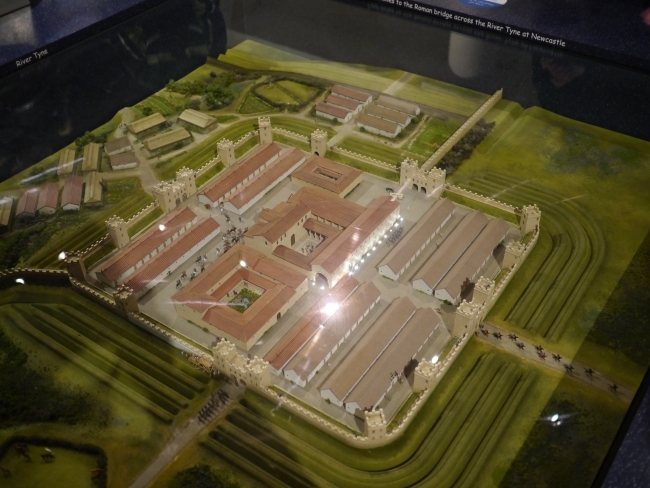 You can explore what Roman life was like at Segedunum through interactive exhibits and models, from the top of their 35 metre high viewing tower and by examining original artefacts unearthed by archaeologists. Segedunum Roman fort, baths and museum is three minutes walk from Wallsend Metro (train) and bus station. There is free car parking at the venue. Their summer (1st April until 31st October) opening hours are Monday to Friday 10am until 5pm; Saturday and Sunday 11am until 4pm. Their winter (1st November until 30th March) opening hours are Monday to Friday 10am until 3pm. Closed at weekends. If you print and take along the voucher below you can receive a 20% discount off entrance prices that are normally £5.25 for adults, £3.25 for concessions, under 16’s can visit Segedunum for free. The New Tyne Crossing project is a £260M scheme to dual the A19 beneath the Tyne by building a second road tunnel, and associated highways structures. 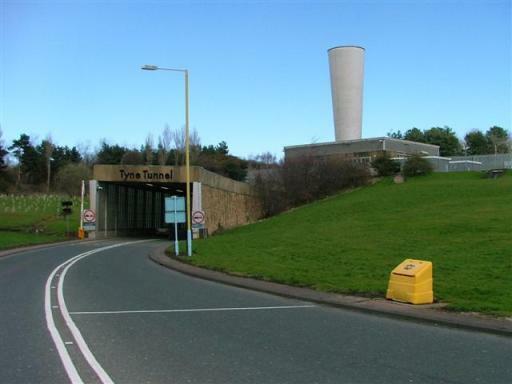 The project also involved a major refurbishment of the 1967-built Tyne Tunnel. 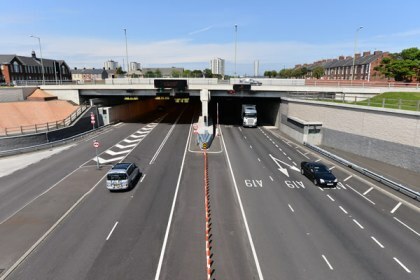 With two tunnels up and running, the original, refurbished tunnel provides two lanes of traffic for northbound travel, while the new road tunnel offers two lanes for southbound traffic. The design capacity of the original tunnel was 24,000 vehicles per day. The combined capacity of the two road tunnels is now 78,000 vehicles per day. The new vehicular tunnel is only the third in Britain to be built using immersed tube technology in the river section. The land tunnels built either side of the Tyne involved a variety of construction techniques, predominantly cut-and-cover tunnels as well as approximately 70 metres of Sprayed Concrete Lining, which enabled the tunnel to be built beneath major utility connections without disturbing them. If you are looking for bed and breakfast accommodation near the Tyne Tynnel our bed and breakfast price and availability is here: book online.